When I heard the Quarterdeck, was closing I was bummed. It was a little slice of Scituate that I had gone to since I was a kid on the way out of brunch at Pier 44 (also long since gone). 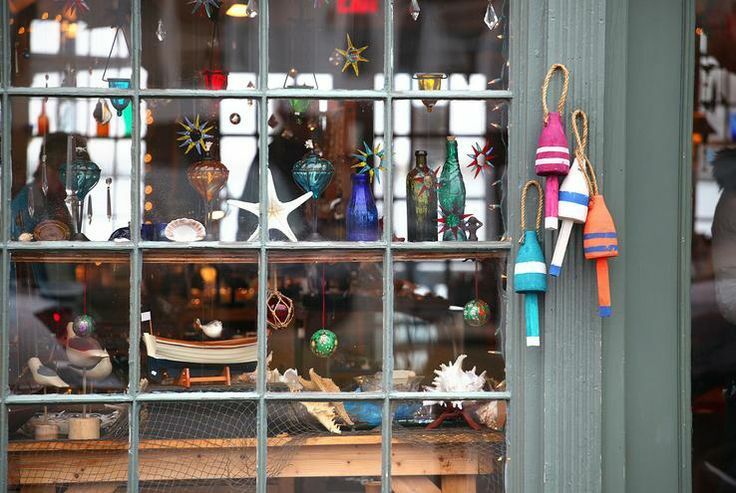 This little shack on the warf was CHOCKED FULL of sea shells, old signs, mood rings and cheap trinkets, block print tapestries and incense, a sea farer’s trunk of awesome junk, and I was going to miss it. 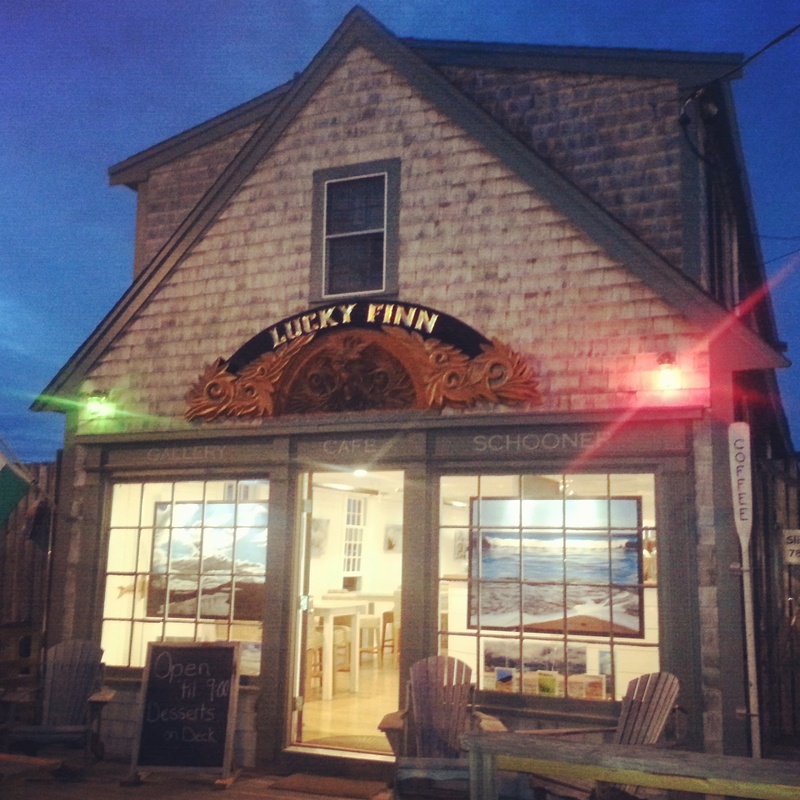 When I heard it was going to be a cafe through The Lucky Finn Schooner, I thought, well – it’s independent and the town could use it. Then, when the write up said it would also be a gallery and featuring Michael Coyne, I was genuinely happy. The Quarterdeck was always such a cool little shop, as a kid who always wanted to paint, I dreamed of living or working in a place like this… and by the way, it was used in the film, ‘The Witches of Eastwick‘, as a pottery studio so I felt it’s new appointment fitting. 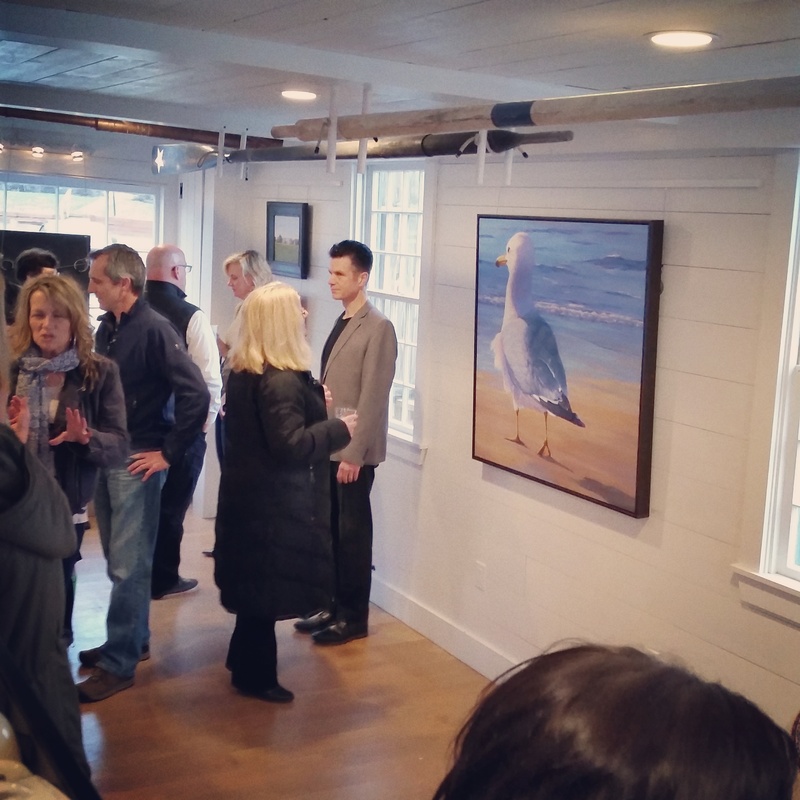 I saw how beautifully it was redone, I mean, REALLY lovely, and such a smart hybrid of Scituate history, art and cafe in an upscale way. A few months later, when Michael Coyne contacted me and asked if I’d be interested in doing a show there. I was smitten with the idea. In practice, as a fellow artist and collaborator, Michael has been an awesome guy to work with as well as a great talent. And while the rope bracelets and glass floats are gone, if my 12 year old self could see me know, I think she’d be psyched. My paintings in the window of ‘The Lucky Finn Cafe’ which opened last year. 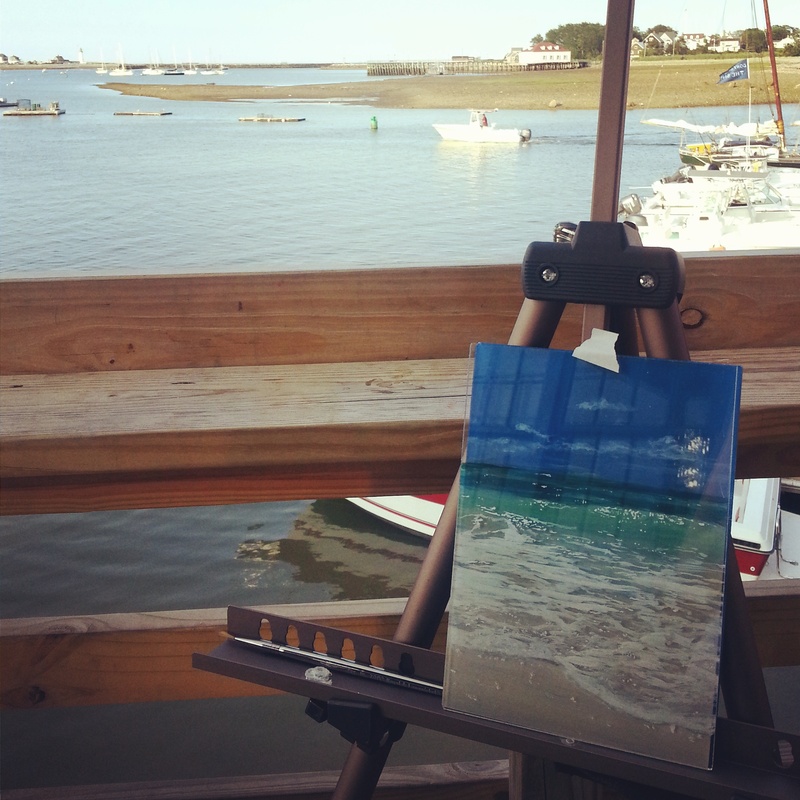 This entry was posted in Uncategorized and tagged events, gallery shows, Jessica Hurley Scott Art, Scituate Artist, scituate harbor, the lucky finn, well scituated. Bookmark the permalink.